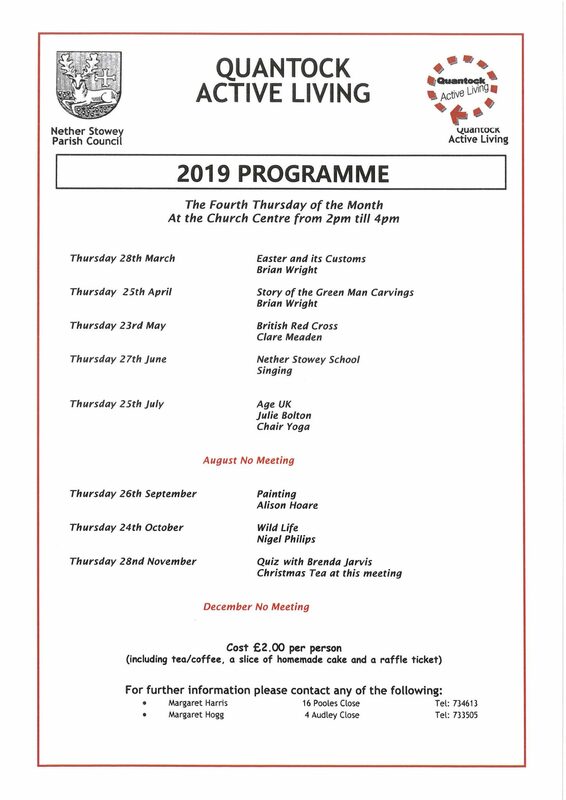 Meetings are held on the third Thursday of the month at 7.30pm at the Church Centre, St Mary Street. Non-members may attend talks at cost of £3. Tea, coffee and biscuits, raffle and plant table at meetings. All welcome even if you don’t know a daffodil from a dandelion. You don’t even have to have a garden! Stowey Gardeners now have their own website at https//sites.google.com/site/stoweygardeners/home (new window) and you can see their programme for the year by clicking here.